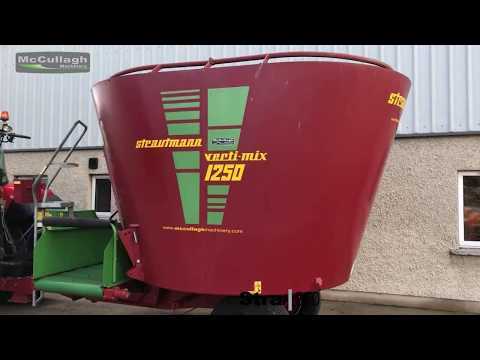 2013 Strautmann 1250 Vertical Tub-Feeder with front cross conveyor, 2 speed gearbox. In mint condition, impossible to find another like this second hand. To make an enquiry about 2013 Strautmann 1250 Vertical Tub-Feeder call us on ROI 048 6634 8213 | NI 028 6634 8213.